The table shows how London boroughs are doing on a suite of poverty and inequality indicators from a cross-section of topics. The brighter the red, the worse the problem. 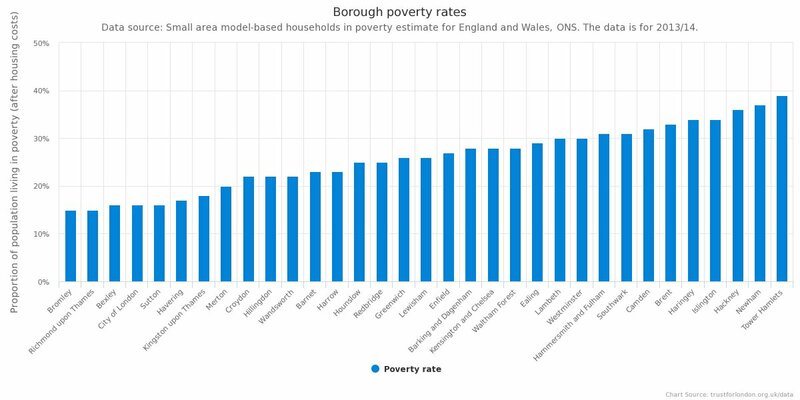 Boroughs are grouped by sub-region, showing that the eastern boroughs perform worst on average across the indicators here. When boroughs have the same value for a particular indicator they are all given the same rank. For example, if five boroughs all had the same poverty rate they would all be give the same rank e.g. 22/32. The next worst borough would then be given the next available rank in number order, in this case 27/32. 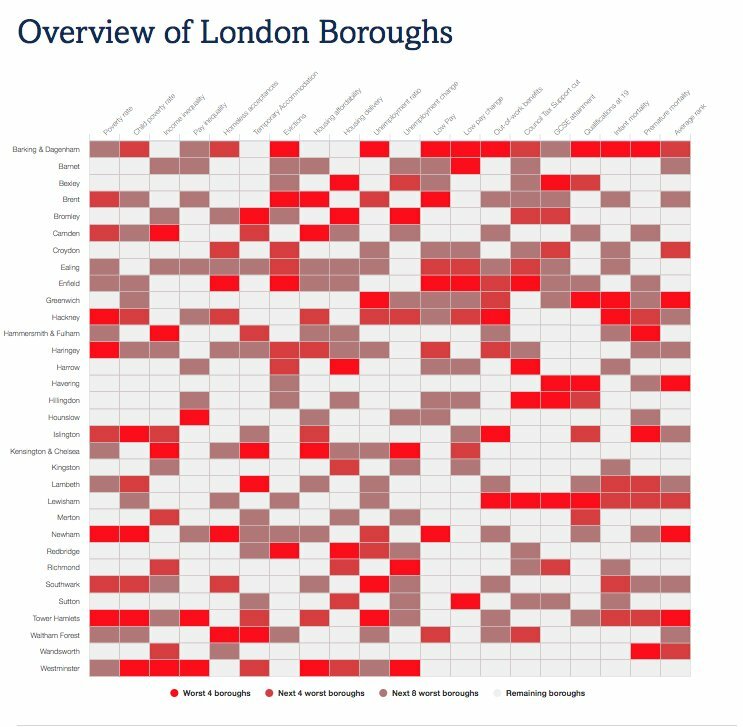 This means that for some indicators, there are not 4 worst boroughs, then 4 next worst boroughs and then 8 next worst boroughs because the boroughs are all grouped together and they have been ascribed the same category (as shown by the different colours). This could mean there are more or less than 16 coloured tiles for a particular indicator depending on the number of boroughs with the same rank.